MARIPOSA — As the gardening season winds down, gardeners always think about the future. What can we do to improve our soil? Enhance our landscape? Ease the workload? What plants have caught our eye? Master gardeners are thinking about the future in a different way. 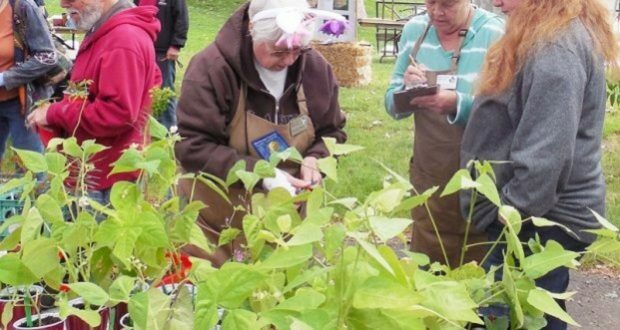 Master Gardeners go through training to help you with gardening challenges. We write, answer questions, do educational presentations, demonstrate, and share horticulture information in a variety of ways. Our training, based on research done at our land grant college, the University of California, focuses on plants, soils, insects, diseases and weather, as well as about emerging horticultural problems that we face. This is information that you can trust — research based and local to your community. The voice of horticultural information is dwindling in many ways. 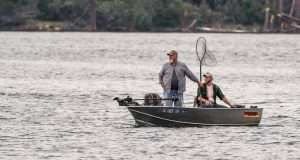 Although a plethora of information is available online, live and local information is decreasing. Yet, schools are starting school gardens and communities are developing community gardens. There are problems now with an anticipated shortfall of people trained to fill jobs in agriculture and horticulture. 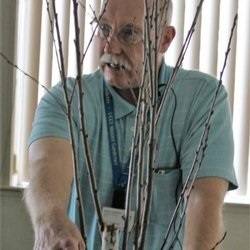 Master gardeners attempt to keep the educational part of the equation going through educational programming of various forms. We develop programming to respond to community requests and needs we perceive. Meeting these needs is a challenge in the foothill and central valley areas of California. 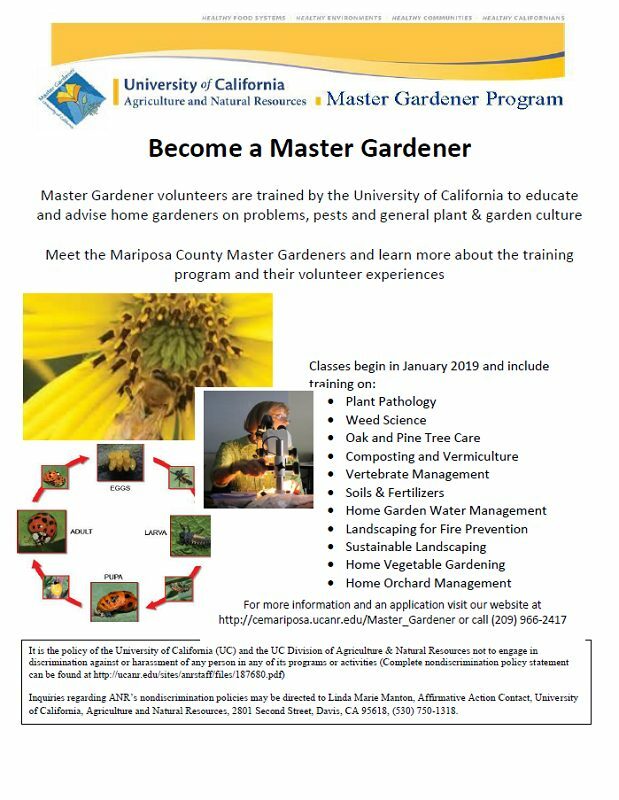 If you are a person interested in gardening, the environment, or sustainability, please consider becoming a master gardener to help educate the people who live here. 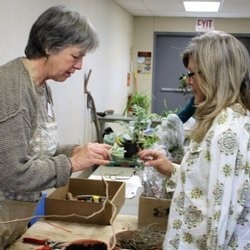 UC Master Gardeners operate 44 programs in California, including Mariposa and Merced. Our Mariposa and Merced branches would like to invite you to join us for our upcoming training class beginning in January. Classes will be held in Catheys Valley on Wednesday mornings. Although there is a fee for books and materials, your university-based speakers and experts will come to you! Master Gardeners in Mariposa and Merced have had a long history of working together to meet the diverse needs of our communities. Please contact us to find out more. Information and an application are available online here. We can also be found at 5009 Fairgrounds Road in Mariposa or at 2145 Wardrobe Avenue in Merced. 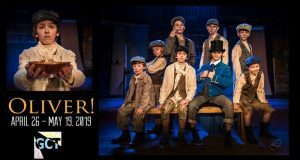 If you are interested in our classes, feel free to contact Sheri Mace at 209-966-2417 or via email.. You can reach Stan Bunce or Larrae Iencarelli at (209) 385-7403. Applications will be accepted through Oct. 26.